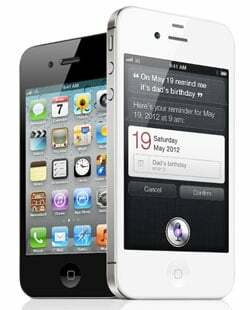 U.S. Cellular says no to iPhone 4S, quarterly sales estimates say YES! U.S. Cellular turned down Apple's (NASDAQ:AAPL) iPhone because it did not make sense for the company economically, CEO Mary Dillon said on the company's third-quarter earnings conference call. Dillon said that the carrier had the opportunity to sell the iPhone but that Apple's "terms were unacceptable from a risk and profitability standpoint." Dillon mentioned that U.S. Cellular may be open to carrying the iPhone a little further down the road. It's possible that these "unacceptable terms" could have been similar to the Sprint deal that required a hefty four year investment to get into the iPhone game. Meanwhile, the three big U.S. carriers that do have the iPhone 4S are booming following huge initial sales. Canaccord Genuity’s Mike Walkley this morning raised his already fairly high estimate for this quarter’s sales by Apple (AAPL) of its iPhone from 27 million units to 29 million units, after his “checks” last month suggested the iPhone 4S was the top seller at AT&T (T), Sprint-Nextel (S), and Verizon Communications (VZ). C-Spire Wireless, a much smaller regional carrier with around 875,000 subscribers, was able to pick up the iPhone 4S just fine by working within Apple's terms. So what gives, U.S. Wireless?